The blessing of the church was done by the Apostolic Administrator of the eparchy of Buchach high-reverend Fr. Dmytro Hryhorak, OSBM. 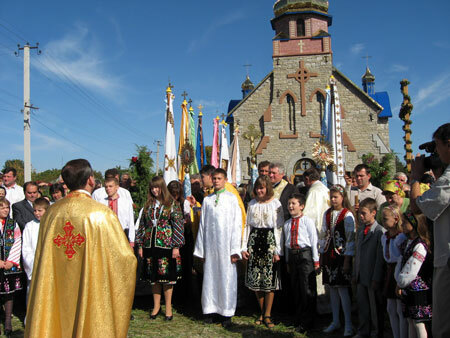 With happiness in their hearts the faithful and guests of the village met the spiritual father of the eparchy. Afterwards, the ordination of the church began from the outside and inside. The altar was also blessed, on which the Bloodless Sacrifice took place for the first time. After the Liturgy, Fr. 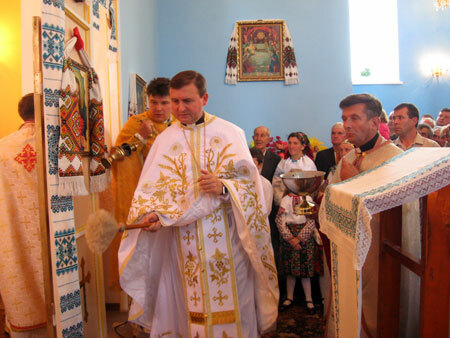 Dmytro granted all those who helped with the reconstruction of the church with a certificate of gratitude.